A question that every pregnant woman has (who is having their baby in a hospital) is….when is the right time to go to the hospital when in labor? A lot of women get so excited by their first contractions that when they finally start getting stronger and more frequent, they head straight to the hospital to only get turned away and sent home. Well, I’m about to clear it all up for you so you can make sure you’re getting to the hospital at the right time. If you were to ask your doctor when you should start heading to the hospital when in labor, the answer that he/she will probably give you is when your contractions are 5-1-1 or if your water has broken. What’s 5-1-1? Let me break it down for you. When women hear this, they will wait until they have reached that 5-1-1 pattern and as soon as it has been an hour and that’s the consistent pattern, they head straight to the hospital. What a lot of women don’t know is that 5-1-1 is when you have just entered into Active Labor and just finished Early Labor and you still have hours to go until you meet your baby. Women also don’t know that their contractions will more than likely start spacing out once they get to the hospital if they go straight at 5-1-1. Why is that? When you are at home you are in a place that is familiar and comfortable. Your body feels more relaxed and feels safe and is able to progress faster. When you are in an unfamiliar place, even when you are trying to relax your body, it tenses up and stalls out your labor since it’s in a foreign place. Unfortunately I have seen it happen several times. 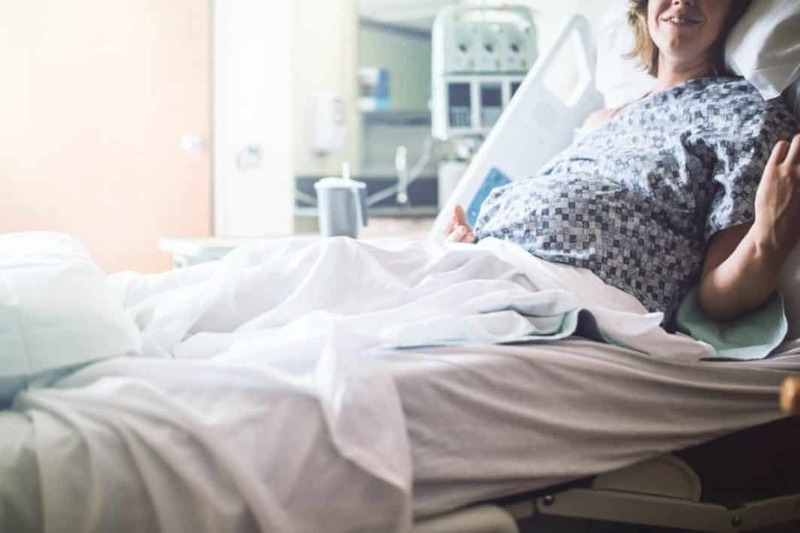 Women think they are ready to go to the hospital and have reached a certain point in their labor and their labor slows down or stalls once they are at the hospital. You can stay home longer to avoid this from happening. This is why I normally recommend that women go to the hospital when their labor is 4-1-1 or 3-1-1. This will greatly reduce your chances of being sent back home. Now if your water has broken first before contractions have started, that’s a little bit of a different story. When your water breaks you want to remember this acronym, COAT. C – Color: What is the color of your water? If your water is clear, that’s a good thing, but if it has green, black or brown in it, that means that your baby has probably passed his/her first poop (which is called meconium). This means that the baby could be in distress. If you see pink or pinky red, that’s normal. It means that your cervix is dilating which is what it needs to do to get you to pushing. If your water is clear, pink, or pinky-red, you have up to 8-hours to get to the hospital. (Hospital standards) If your water has green, black and/or brown in it, that means there is meconium and that means you need to head to the hospital to make sure that your baby is okay. O – Odor: What does your water smell like? Your water shouldn’t have a crazy different smell to it. It should be odorless or have a regular vaginal smell, nothing abnormal. If your water/amniotic fluid smells bad, like a rotten smell or something sour or anything different at all that doesn’t smell right, it could mean that you can an infection and should go to the hospital right then. A – Amount: How much of your water came out when it broke? The reason why the nurse will ask you this when you call is they want to know if the tear was a high tear in the amniotic sac or a low tear. If there was a big gush when your water broke, it means that the tear in the amniotic sac is a low tear. That makes it closer to the cervix and expels the water around baby’s head which is a lot more water. If there was just a trickle coming out here and there then that means there is a high tear in your amniotic sac so every time you move or baby moves a little water comes out. NOTE: Many women don’t know that when your water breaks water doesn’t stop coming out until after your baby is born. There isn’t just one gush and it’s done. Once your water breaks the water keeps leaking and coming out until your baby is born. T – Time: What time did your water break? The nurse will ask you this when you call in because they want to know how much time you have until they need to make some medical decisions. A lot of doctors require that babies be born within 24-hours after your water has been broken. The reason for that is your chances for developing an infection (chorioamnionitis) is much greater after 24-hours of the water being broken. Signs for this is when your temperature rises. This is why they will continuously check your temperature every couple of hours while in labor if your water has broken. Once you start reaching the 24-hour mark of your water being broken and you are not making enough progress, they will then start planning for a c-section. NOTE: This is a good reason to rethink them breaking your water too soon. If your doctor or nurse wants to break your water too soon, remember that you are then on a clock after they break it and you have to have your baby within 24-hours before they recommend a c-section. There are also two things to look out for when you think your water breaks: 1) making sure you didn’t pee yourself and 2) making sure that your baby continues to move. Go to the restroom and try to completely empty your bladder. Then go to your room and lie down completely flat on your bed for a minute or two. Finally, you will get up and check to see if any more fluid came out when you sat up. When you get up, your water should come out some more since you’ve moved around and your bladder is empty. If nothing came out, I hate to say it, it was probably just pee. No need to try and get contractions going or getting ready for the hospital. The second thing to look out for is making sure that your baby is still moving. If your baby is not moving after a while, drink some orange juice (or some type of sugary drink) and lay on your side to see if your baby wakes up and starts moving. If your baby doesn’t move after a few minutes after that it could mean that the cord has slipped through the cervix and into the birth canal (called cord prolapse). This is rare (only happens 1 in 300 births) but it’s something to look out for because that cord is your baby’s life line. If you think that this has happened, get on your knees, keep your tush in the air and your face to the ground to try and get as much pressure off the cord to keep your baby breathing and his/her heart beating and call an ambulance/IMMEDIATELY go to the hospital. So, to recap, here’s when to go to the hospital in labor: When your contractions are 4-1-1 or 3-1-1. When your water has been broken and you have developed some contractions. (Within 8-hours of it breaking.) If your water has a foul smell, if your water has green, black, or brown in it, or if baby stops moving. The post When to Go to the Hospital in Labor appeared first on Baby Chick.